Joy Reiki Institute, Westport CT.
Do you often ask yourself some of the following questions? HOW CAN I RESTORE MY BODY? HOW DO I OVERCOME CHALLENGES AND TRAUMATIC SITUATIONS? If yes, Joy Reiki Institute may have the solution for you. Together, with Reiki and/or Yoga and Yoga Nidra you can find the peace within that you are looking for. Joy Reiki Institute offers: Private Reiki Session, free 20 min. 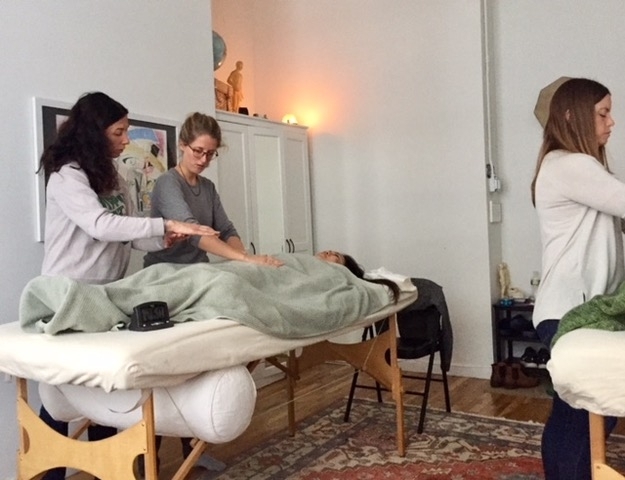 reiki sessions once a month on a specific date, Reiki certification Workshops, Reiki groups, private and group Yoga Nidra classes for kids and adults (option to organize your own group at your desired location). Every Thursday morning 9.30 to 10.30, Sign up required, $25 Please call or text Sarah on 415 912 6863 to reserve your spot. Thank you to all my clients who shared with me their journeys and who allowed me to share these beautiful tools that exist. During my master training, at the NY Reiki Institute with Nana Deleplanque. Guiding students with the hand positioning. Read some testimonials from happy clients! If you wish to send a testimonial, send me an email.